Dr Rob Adam’s career spans over 35 years. He holds a PhD, a MSc, and BSc Honours in Physics, all from the University of South Africa (UNISA). 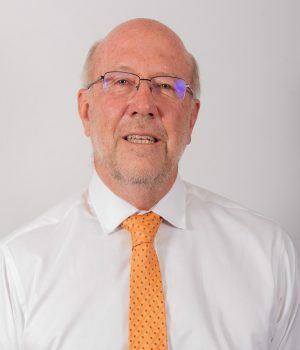 His career spans in academia and the public sector where he has previously worked as a lecturer at the University of Natal until he joined the public service as a Chief Director for Science and Technology. He’s also previously been employed as Deputy Director-General, Director-General until he was appointed as the Chief Executive Officer of the South African Nuclear Energy Corporation (Necsa) in 2006. His work within the Science and Technology field has seen him garner praise as in 2010 he was awarded the Lifetime Achievers Award by the South African National Energy Association and in 2011 was Knighted as Chevalier de l’Ordre National du Merite by the President of the Republic of France, for outstanding achievement in fostering scientific collaboration between France and South Africa. He currently serves as member of the Human Resources Development Council, the board of Square Kilometre Array, a member of the Academy of Sciences of South Africa, Fellow of the Royal Society of South Africa, as well as a member of the South African Institute of Physics. Dr Adam has also previously served as the Chairperson of the Board of Dire, Chairperson of the Board of Directors of NTP Radioisotopes (Pty) Ltd, Chairperson of the Board of Directors of Pelchem (Pty) Ltd, Chairperson of the Board of Directors of PBMR Fuel Organization (Pty) Ltd, Honorary Professor of Physics at the University of Pretoria, Honorary Professor of Physics at the University of South Africa, and President of the Nuclear Industries Association of South Africa (NIASA), amongst others.